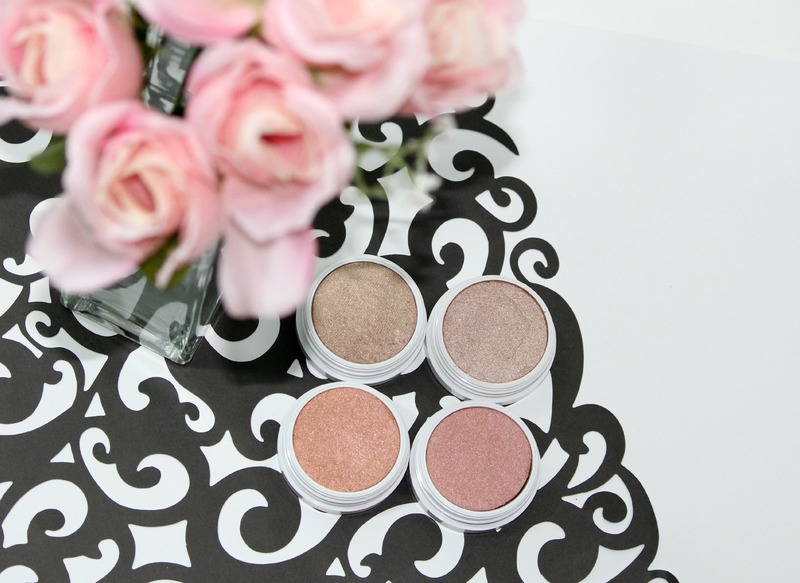 ColourPop is an inexpensive brand that has really blown up and garnered a cult following– I totally understand why! I love their blushes and eyeshadows so you know I had to purchase some of their highlighters when they launched. I am a highlighter fiend after all. I picked up four highlighter shades, but I believe they released fifteen! Wisp | When I saw this shade swatched on ColourPop’s Instagram page, I knew it would be a must have for me! The color is a shimmering golden champagne shade, which is up my alley. The consistency is like their eyeshadows and blushes, but slightly creamier. The pigmentation is great, and you can build it up or sheer it out depending on your preference and how you apply it. This lasted about eight hours on my skin without fading. Butterfly Beach | I was iffy about this shade when I first put it in my cart, but I’m really glad I got it! 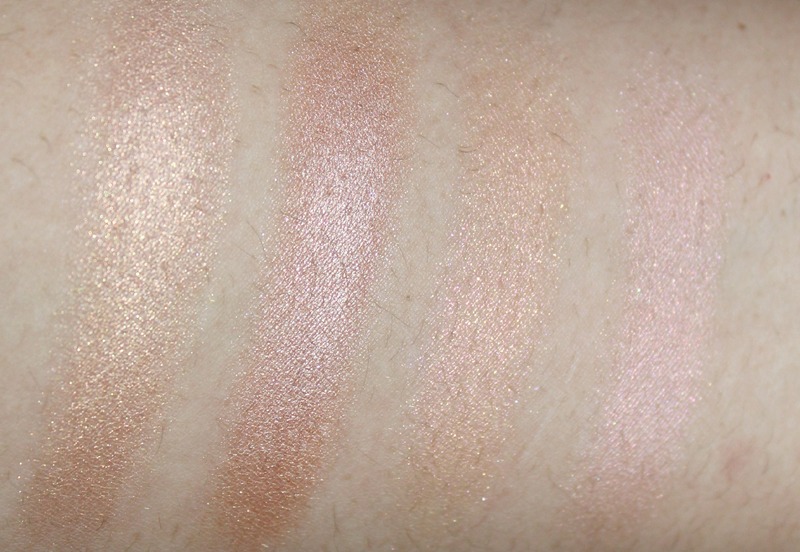 It is a rose golden/ slightly coppery highlighter with a metallic sheen. Again, the consistency and pigmentation is great, which makes it easy to apply, build up, sheer out, and blend. This one also lasted about eight hours on my skin before fading. This is pretty pigmented so if you’re very fair I think this would work better as a blush topper. ColourPop highlighters top to bottom: Teasecake, Highly Waisted, Butterfly Beach, Wisp. 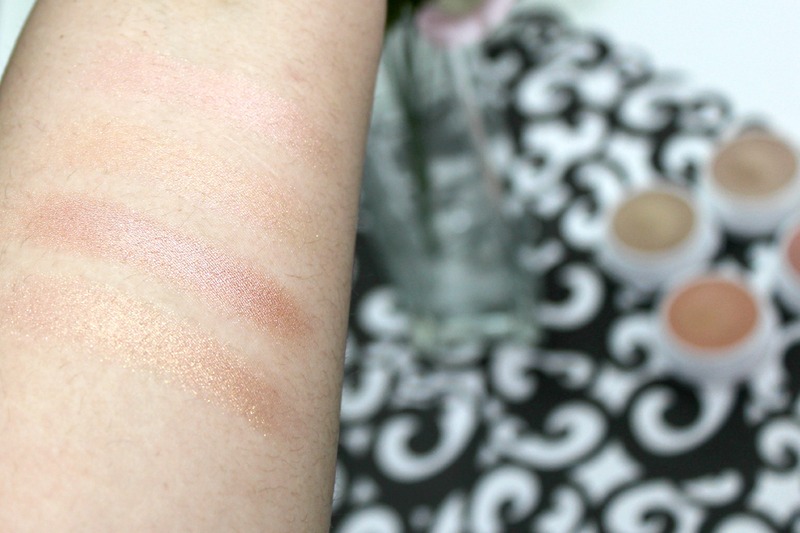 Highly Waisted | This is a light peachy highlighter with pink and gold duo chrome finish. This means that in certain lights it’ll look more gold, and in other lights it will look more pink toned. I love peach shades during the spring and summer so I thought this would be a great addition. This is not as pigmented, but you can build it up to a semi-opaque finish, and it blends out easily. This also lasted about eight hours on my skin, and didn’t disrupt any product I was wearing underneath it. Teasecake | The last highlighter I have is a pale pink with a gold and pink duo chrome finish that shifts from gold to pink depending on the light. This isn’t as pigmented as Wisp or Butterfly Beach either, but that’s nice since it is a highlighter and you don’t want a stark line of pink on your cheek bones. This was also easy to build up to a semi-opaque level or sheer it out depending on how you like your highlighter. This lasted about eight hours on my skin just like the others. My favorite way to apply all of these is with my fingertips and then blend it out with a Real Techniques Contour Brush. Have you tried any ColourPop highlighters? Let me know in the comments below!